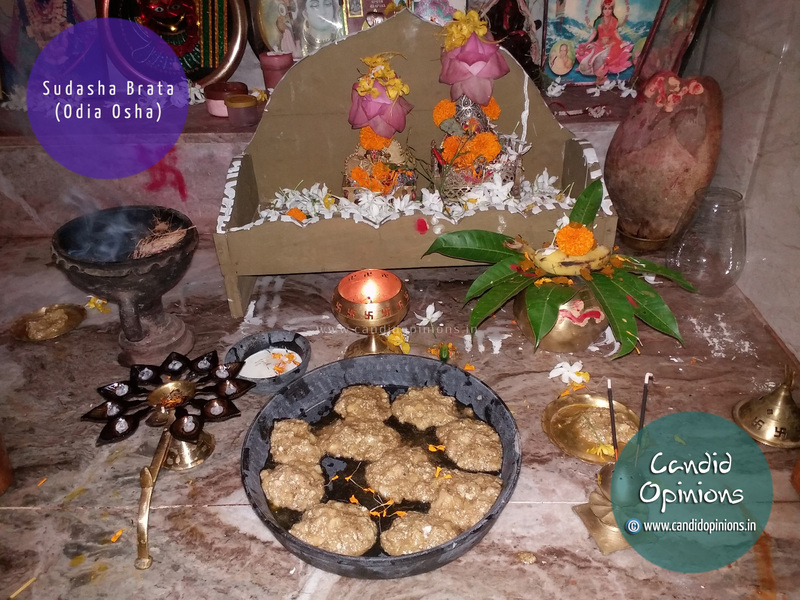 Sudasha Brata - this unique brata or osha of Odisha is dedicated to Goddess Lakhsmi and is observed by the Odia married women for the prosperity of their family. Odia women keep this brata whenever Shukla Pakhya (waxing phase of moon), Thursday and Dashami - all three fall on the same day. They tie a brata on their right arm after giving it 10 knots in the 10 names of Maa Lakshmi. Maa Lakshmi loves to be in a neat and clean place. 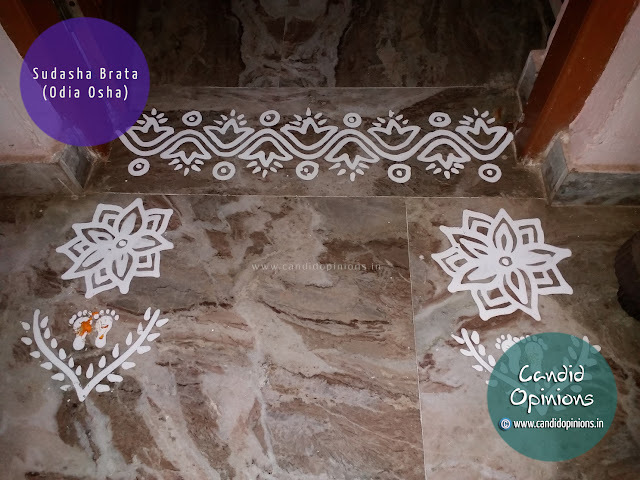 Therefore the puja room is washed and cleaned properly, followed by chittaa and jhotis done outside and inside the house using a paste of water and rice grains. Then after taking bath and wearing clean clothes, in the puja room, a kalash is filled with water and is placed over rice grains. Over the kalash is placed mango leaves (5 or 7 petals). 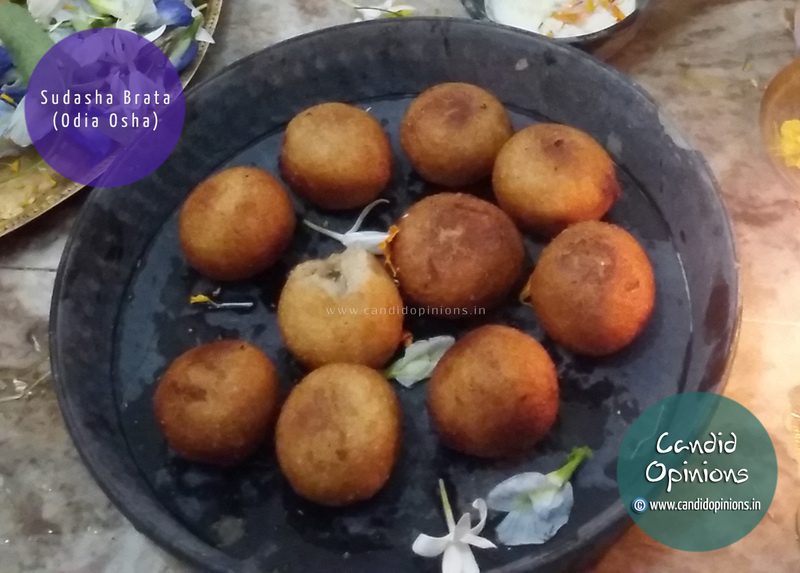 A coconut, wrapped in "naali saalu kanaa" is placed over it and then flowers. 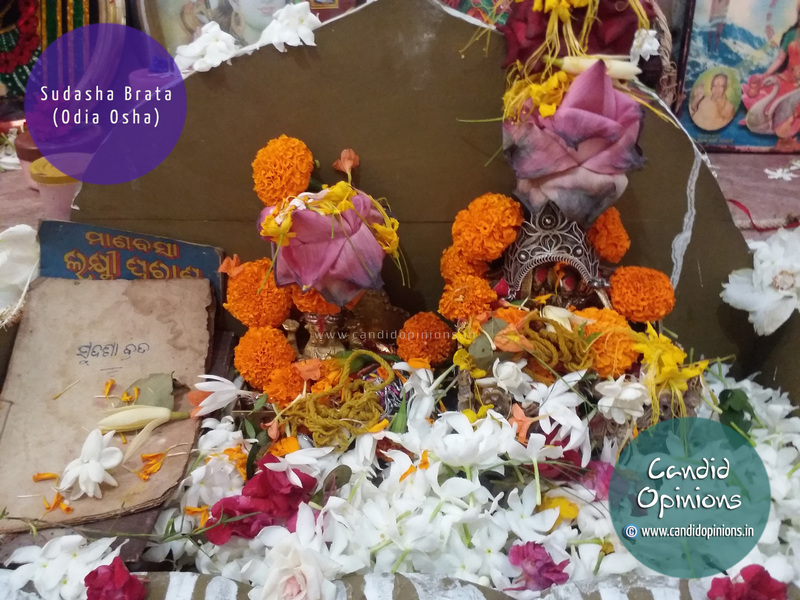 The idol of Maa Lashmi is then placed on the "khatuli", followed by a bath of panchamrit, chandan, sindoor and flowers. A ghee lamp is lighted and so also are the incense sticks. 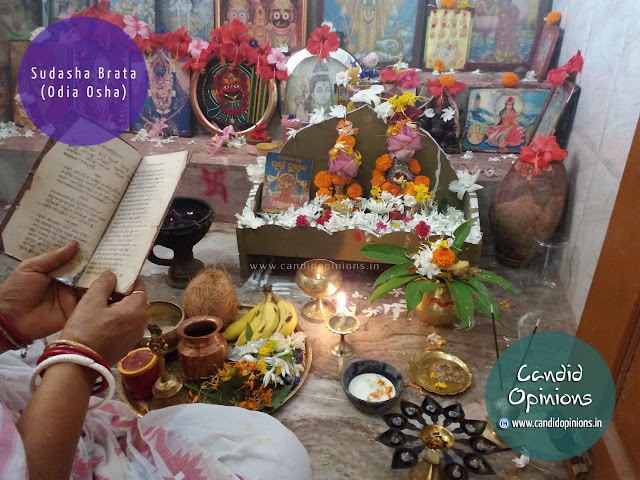 The Sudasha Brata Katha is then read. 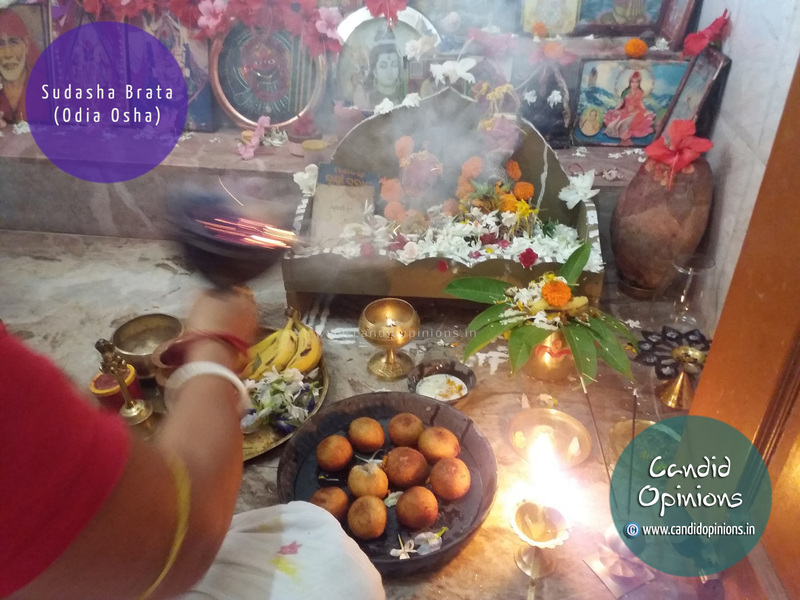 Everything that is offered to the Goddess has to be ten in number - 10 flowers, 10 manda pithas and so on. 10 Mandaa Pithas are offered as the prasad to the Goddess. Aapana nku bahut bahut dhanyabaad. Khyama karibe, mu aagaru aapana nkara ehi comment ti dekhi nathili, tenu ette bilamba re reply deuchi.